Increased complexity of software incidents and their growing numbers require fast responses. We reviewed and partitioned our pattern catalogues into two tiers. 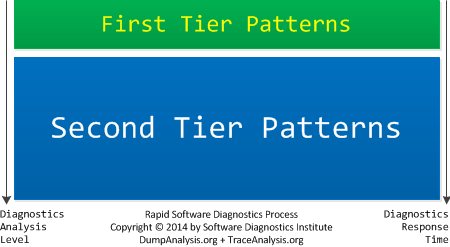 The first tier requires less analysis efforts and provides faster response time than the second tier. The revised memory and trace analysis catalogues together with adjusted checklists will be published soon.